The 2013 NFL Draft has come and gone and the Titans have added 8 drafted players to their roster, along with 14 undrafted free agents. This article with focus on the draft class but stay tuned for another article on the UFDA class. In addition, I am going to grade each Titans draft pick individually. So let’s get to it! 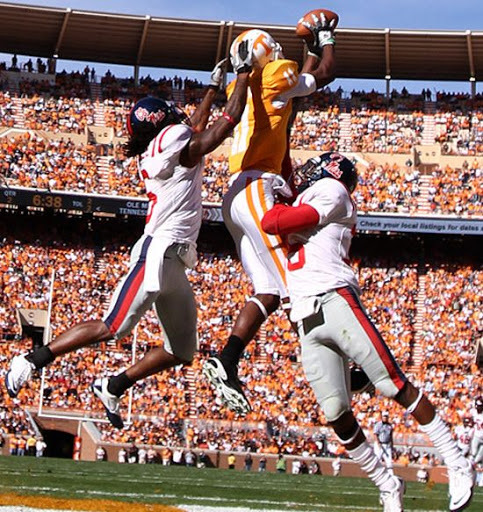 Easily the most controversial pick of the draft as the Titans traded their second round pick (#40), seventh round pick (#216), and next year’s third round pick (TBD) to the San Francisco Forty Niners to move up 6 spots and draft former University of Tennessee wide receiver Justin Hunter. As everyone probably knows I am a Vols fan but I don’t typically advocate signing or drafting UT players just because they played for the Vols. Let’s face it that pipeline has been clogged with fail for the most part. However, I love the Titans picking Hunter. 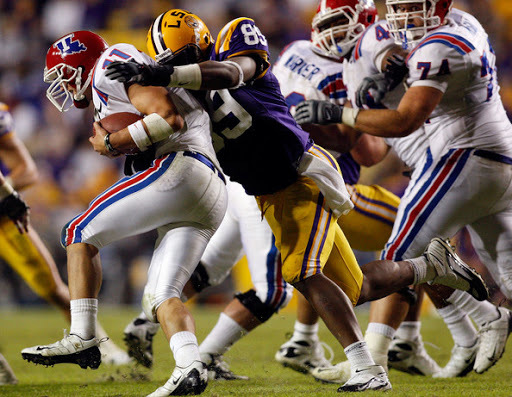 Before he tore his ACL, Hunter was one of the best young wide receivers in college. A rather disappointing 2012 season, both personally and for the team, hurt his draft stock a little and there were questions regarding commitment but those were answered for me during the pre-draft process. Hunter excelled both at the combine and at his pro day at Tennessee. After drafting him the Titans revealed they had a first round draft grade on him and you can bet your last dollar they weren’t the only one. At 6′ 4″ and 196 Hunter will beef up and be a playmaker the Titans desperately need. While 2012 first round pick Kendall Wright showed flashes, the addition of Hunter will give Jake Locker another option in the passing game and will open up the field for other options as well, most notably new addition tight end Delanie Walker. Titans fans have reason to be excited about next year’s offense as new offensive coordinator Dowell Loggains should be able to take advantage of his new weapons. Prior to the draft the Titans expressed an interest in adding a cornerback to the squad who can play press coverage and after taking BW3 they said he could do it. Unfortunately, they also said they might later convert him to safety. I was prepared to like this pick even though I didn’t think cornerback was a big need until the Titans indicated they weren’t sure what position he would play. For the record, I’m not a fan of drafting a guy fairly high with no plan on where you intend to play him. I’m fine with taking a cornerback in the 3rd round if you are convinced he is the press corner you desire, OR if you think he is the Darren Sharper (for the record he seems best suited to free safety to me) BUT I’m not a fan of a no plan pick at this range. We tried that approach with Michael Griffin and you see how well that worked out. I simply believe a 3rd round pick, especially a high 3rd round pick, should be the best available player at his position. In any event, I do like BW3’s potential and I am going to look at him at his natural position of cornerback. aT 6′ 1″ he is the tall rangy CB that is currently the rage right now and he has good speed. He was very productive in college with the only big knock on his being his arm tackling and inconsistent angles at times. The question I had with him prior to the draft was his hip flexion but hopefully trainers can work with him on that issue. He said he is comfortable with press coverage and has played it in the past. 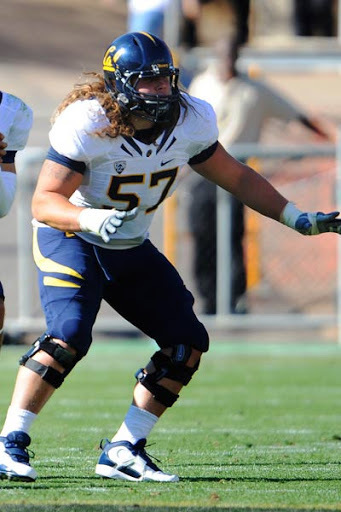 I’m generally not a fan of the Titans drafting a fella whose hair is better than mine but for Schwenke I will make an exception because he has my favorite last name in this draft. Oh, and he is probably the best center in this draft class too. The Titans revealed he was their number 1 ranked center after they selected him. Sckwenke is a load at 6′ 3″ and 314 and can play both guard and center. He really excelled at the Senior Bowl and looks to be maybe one of the Titans best steals of the draft. For a team that really needed to rebuild its offensive line, this is a great value pick. Edwards still managed to register 4.5 sacks and 7.5 tackles for a loss. 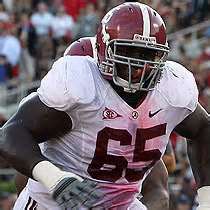 At 6′ 4″ and 277 the Titans have indicated he fits their profile of “sturdier” defensive linemen. He is also a guy who can play both RDE and LDE which is exactly what the Titans need. Edwards could end up being another steal of the draft. 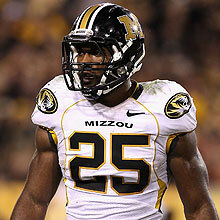 In the 6th round the Titans took another cornerback and one who looks to possibly compete for the return position. At 5′ 11″ and 210, Wooten has been described as an average athlete but his college production cannot be denied. He had 4 interceptions in the 2011 season. He also ran an impressive 4.47 40 at his pro day. He lettered also in track in high school. There were rumbles he might move to safety but Wooten says they told him they expect him to play corner. I have seen 7th round pick Daimion Stafford listed as both a FS and a SS but he seems more suited to the SS position so that is where I will evaluate him. At 6′ 0″ and 221, Stafford has a good mixture of size, speed and agility. 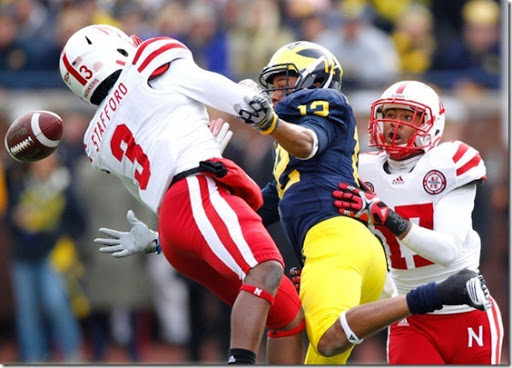 A highly sought after JUCO prospect, Stafford chose Nebraska where he was highly productive in his 2 years at Nebraska putting up impressive numbers and earning first team All Big Ten honors by the media, and second team All Big Ten by the coaches. If he matches his production with the Titans he will also be a steal of a pick along the lines of Cortland Finnegan. Bonus: he also has return skills as well. So there you have it Titans fans, your 2013 Tennessee Titans draft class. What are your thoughts?